Politics needs to change and readers will root for Coach Bob, who exemplifies everything good in life. Rick did a good job of creating a tough, industrious character who believes in working hard and receiving the rewards for that hard work. And I believe readers will relate to that kind of character, especially in today's political climate. Janelle Fila for Readers' Favorite - 5 Stars! A timely moment of fiction reflecting our current chaotic relationship with values and political currency. Rick McGee’s second installment about the life of Bob Newton after Yardstick is even better than the first. Coach Bob’s salient moments are memorable when debating his opponent under pressure – and on the clock in more ways than one." Another one in the slamm﻿er! The headline screamed at Coach Bob as another lawmaker took “the stroll” to his jail cell. The long streak of crooked politicians and the ongoing gridlock in Washington D.C. forces Bob out of retirement and into a new line of work. Does Coach Bob have the kind of game to take on the political system in our nation’s capital? What has he learned from the gridiron that can help turn around a political system gone bad? Bob knows how to unify diverse backgrounds from all walks of life, but can he handle the slurs, insults and lies from the political elite who will do whatever it takes to defend their turf? 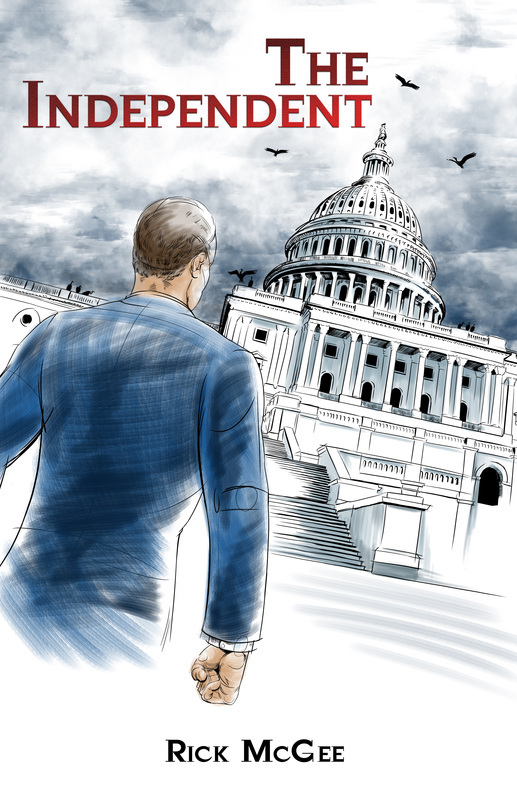 Coach Bob has measured his life by one yardstick – he shows everyone around him how to “earn it.” Can Coach Bob climb Capitol Hill and help re-establish nobility and integrity in Washington D.C.? "The whole story made me proud of the choice that I made many years ago to become a coach!" "This book is a must-read! Couldn't put it down. Can easily identify with people in my own life that fit the main characters. Happiness truly comes from loving what you do." Bob graduates college but cannot find a job, well not a real job anyway. Once the star QB he now faces hunger and fear as there are no more free meals at the U. Bob is saved by Coach Mac, his mentor and high school football coach, an old throw back who molds boys out of mud and field turf. Coach Mac teaches Bob how to develop the "ladies" into men, with a life plan after the last whistle has blown. Bob's real fear though is measuring up to his buddies from school and the 'meet-ups' where they celebrate successes, lament failures and hold each other accountable. Real truths are shared by men more accustomed to ripping each other than baring their souls. Over the years Coach Bob learns the yardsticks that matter and measure the value of one's life.